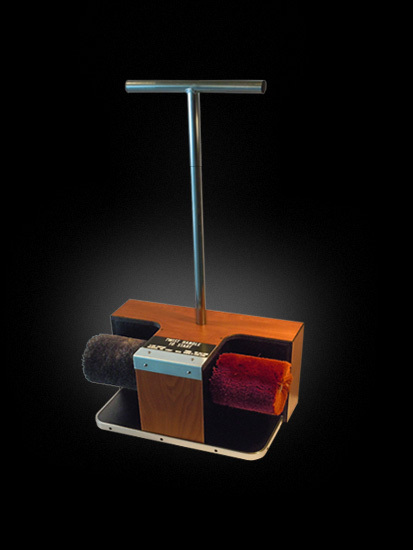 Model #90 makes daily shoe care easy...employees are actually eager to use it! With just a twist of the T-handle, polish is applied to the buffer (#90) which gives shoes a professional looking shine. Twist the T-handle again, another application of polish is applied. No need to stop, bend down or touch your shoes! Model #90 is fast, thorough and compact.